Alternate itineraries for my Iceland week: a poll! – Let Us Live Like We Mean It! Alternate itineraries for my Iceland week: a poll! Now I’ve reserved lodgings for several different itineraries for my plans to spend a week next June in Iceland. So here most of them are. I’ve discarded a couple that involved driving up to the West Fjords as being just too much driving for a mere 6-day stay. For the surviving plans, I’m not completely sure for any of them where I’ll spend the first night. Probably Borgarnes. But I might instead stay with a couple in Hafnarfordur for the Viking Festival. It depends on whether the spare room in their apartment will be available and also whether I really want to go to that festival. If I stay in Hafnarfjordur the first night, I’ll definitely hit Borgarnes as a day trip anyway on my second day, on the way to wherever I’ll be spending my second night. So let’s look at the alternative plans for nights two through six. Night 2— North to Stykkisholmur, Langey Guesthouse, on the peninsula known as Snaefellsnes. I will do a shortened circuit around the peninsula that afternoon, hitting the famous pyramidal mountain and waterfall outside the village of Grundarfjordur; the iconic black church at Budir; and Stadurstadur, the birthplace of the Ari the Learned, famous 11th C. historian of the Settlement Age. If I have the time and energy I’ll go further west to hit Arnarstapi, Hellnar, and Londrangar, too. Night 3—Stykkisholmur, again. I’ll take the ferry Baldur north across the big, island-dotted bay called Breidafjordur, stopping at the island of Flatey and maybe going all the way to the West Fjord village of Brjanslaekur before returning to Stykkishomur again, where I plan to climb Helgafell, important in Laxdaela saga as the place where Gudrun Osvifsdottir became Iceland’s first nun. At the top I will make my three wishes, having not looked back on my way up the mountain and facing east while I make my benign hopes known to the invisible one(s), and not to anyone else. Night 4–North to Laugur in Saelingsdalur, where I’ll stay at Hotel Edda. I’ll get there either directly from Stykkisholmur or backtracking to Borgarnes and then up through Budardalur and hence to Laugar. Before I reach Budardalur, I’ll be going east to Eiriksstadir, which is the recreated longhouse of Eirik the Red and Leif Eiriksson (Leif the Lucky) from The Vinland Sagas. After I enjoy the educational reenactment program there, I’ll backtrack to head north again, trying to spot the tiny road out to Kambsnes (I hope there will be an easy-to-spot sign for it! ), which is where, according to the sagas, Unn (or Aud) the Deep-Minded, lost her comb. Kambsnes is a little point of land jutting out into Hvammsfjordur, a boot-shaped waterway that sticks out from Breidafjordur. Past Budardalur will be the turnoff to the west to Hvamm, Unn the Deep-Minded’s farmstead, which was one of the first and longest-lasting in Iceland, that I first learned about in the opening chapters of Laxdaela saga. Although nothing remains of the farmstead now, there is a quaint church there, and in any case Hvamm is an important journey for me to make for my literary soul. What is now at Hvamm, site of Unn the Deep-Minded’s early farm, found in the 9th century. Photo by Hotel Edda Laugar in Saelinsdalur. Further north from Hvamm is the Hotel Edda, where the hot springs featured in Laxdaela saga still tempt one to enter in and be soothed. I’ve got my swim suit ready! But here are some things I think I can fit into a day and a half in Reykjavik, assuming I’ve already gotten my “puffin fix” on Breidafjordur! Museums: 871 +/-2: The Settlement Exhibition; Saga Museum; Culture House. Other sights: Harpa (photo above); Hallgrimskirkja (photo below). Window shopping: Laugavegur, which is the eastern extension of the street Loft Hostel is on. This itinerary cuts out Stykkisholmur and the Snaefellsnes peninsula entirely. According to travel maestro Rick Steves, the only thing worthwhile in West Iceland is the Borgarnes area, which I will be doing in any case. If I’m not going to stay in Hafnarfjordur the first night, my first day I will drive up to Borgarnes from the airport and see its many educational sites, such as The Settlement Center of Iceland, with its two museums and lovely cafe for lunch (too pricey for me for dinner); the graveyard where Egil Skallagrimsson‘s father is buried (see Egil’s saga, parts of which are featured at the Settlement Center); and some miles east of town, Reykholt, the site where Snorri Sturlusson, author of Egil’s saga and many other important works about the Settlement Era, was ambushed and murdered on the orders of the King of Norway in 1241. So either the first day or the next, I’ll be sightseeing in and around Borgarnes, with Rick Steve’s full approval, I hope! He definitely puts down Snaefellsnes in his Iceland guidebook, which is in its first edition. Maybe if enough people protest at the West Iceland peninsula’s poor treatment, that will be remedied in the next edition. Night 2–If I decide to follow Rick Steves’ recommendation, I’ll proceed from the Borgarnes area straight to Laugar in Saelingdalur (see Night 4, above, in Itinerary 1). 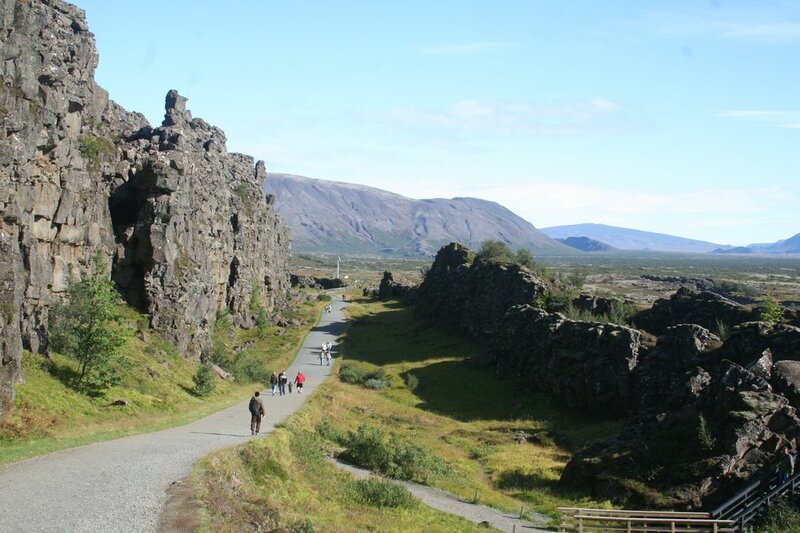 These two stops, Borgarnes and Laugar, are etched in stone for my trip, because my bedrock interest in seeing Iceland in person is to stand in the places where the people from Egil’s saga and especially Laxdaela saga stood over a thousand years ago…. Nights 3 through 6: After I finish in the Dalir, or Dales, area, I’ll drive back down to Reykjavik and spend my remaining four nights at the Loft Hostel. This plan has the advantage of giving me lots of flexibility and time to do not only more things in the city, including the ones I list above, but also to take day trips, too. It would also put me in the city for its celebration of National Day, with a street parade and festival. If I don’t do the ferry across Breidafjordur, because of skipping Snaefellsnes and Stykkisholmur, then I will instead take a guided boat tour from Reykjavik Harbor that is specifically designed to look for colonies of puffins. I really want to see puffins while I’m there, and maybe a guided trip for that purpose would be a better bet than a very long ferry ride across Breidafjordur. I will also drive around the Golden Circle in order to see Thingvellir, where the original althing or parliament of the Icelandic people was held; and the waterfalls at Gulfoss. I may well elect not to stop at the geyser Strokkur because I’ve already seen Old Faithful at our own Yosemite National Park. 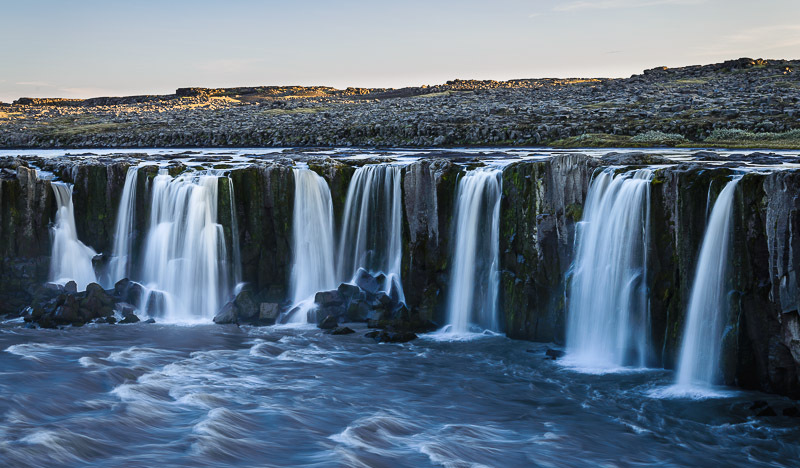 Another place I might drive to as I do the Golden Circle would be the waterfalls at Selfoss. The other big advantage to this itinerary is that, after I see Borgarnes and Laugar in Saelingsdalur, I don’t really have to do much driving if I don’t want to. If I still feel like braving the roads, I can do the Golden Circle. If not, I can hang out in Reykjavik and have lots of fun there, walking around the city, checking out all its amazing public art, and going to more of its attractions, like the park, spa and pools at Laugardalur and the old buildings recreating a village from the 1800s at Arbaer, and the National Museum, the National Gallery and more. This one is a blend of the first and second ones. Basically, I would still go to Stykkisholmur on Snaefellsnes peninsula, but only for one night. I wouldn’t take the Baldur ferry over Breidafjordur, but I would do a short drive around the peninsula. I would go puffin-finding in Reykjavik Harbor on my extra day in the capital instead of in the bay of Breidafjordur. This itinerary has the advantage of getting to see some of Snaefellsnes and spending time at what looks like a very charming Langey Guisthouse with its owner and host, who is a musician like me. Its downside is that it would still involve a lot of driving, and it would mean that I wouldn’t have the time to do the Golden Circle loop out of Reykjavik. It looks like I need to choose between Snaefellsnes and the Golden Circle. But wait: I just found a route from the airport to Borgarnes that I could take on my first day that would go through the Golden Circle! After looking at another map, I see a way I could skip Gullfoss and just do Selfoss and Thingvellir on the way to Borgarnes, which would make for a much shorter time driving. You can see some of the places I’ve mentioned in my earlier blogs here, here, and here. Which itinerary would you choose if you were an older woman like me, traveling solo, but wanting to see good stuff in addition to my “must-see’s at Borgarnes and Laugar, but not to the point of lots of white-knuckle driving or burnout, moving from lodging to lodging nearly every night? Next Next post: Puffins R Us! I couldn’t possibly advise you but you will surely have a most exciting time. What a country! Planning (and sweating over options) is a big part of the fun. It’s fun and fascinating, thank you. Each of the itineraries is jam-packed with things to see and do, Timi. Any one of them would be wonderful. We visited several places in Itinerary 2 and spent a lot of time in Reykjavik – and saw the awesome Aurora from the harbour (we were there in late September). The Golden Circle route is excellent. I’d love to visit so many other places on the island, but preferably when it’s warmer. Nights were freezing in late September! I bet you are excited – I would be, too. I think you’re right to base yourself in Reykjavik. There’s a lot to see there. There’s also a tour bus with commentary if you want to have an overview of the city.